Football fans heading to Russia for the World Cup 2018 have been warned to be on their guard when connecting to local Wi-Fi networks. Security researchers from Kaspersky Lab have published new research showing that a large number of connections in the country pose potential security risks for anyone logging on. Overall, 7,176 public Wi-Fi access points in World Cup 2018 host cities were found to be insecure - around 20 per cent of the total number. Kaspersky Lab analysed public Wi-Fi hotspots across 11 host cities, including Moscow, Sochi, and Saint Petersburg, finding that many did not have encryption and authentication algorithms built-in. This means that hackers would only need to be located near an Wi-Fi hotspot to be able to intercept network traffic and get confidential information from unwitting or unprepared users. The three cities with the highest percentage of unreliable Wi-Fi networks were Saint Petersburg (37%), Kaliningrad (35%), and Rostov (32%). Kaspersky Lab is urging football fans to ensure they can trust any network they connect to, turn off their device's Wi-Fi connection when not in use, and use a VPN to get online if possible. 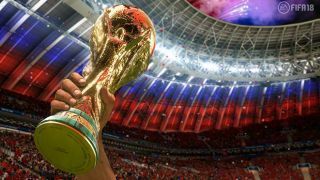 "The lack of traffic encryption, coupled with large-scale events – like the FIFA World Cup - make wireless Wi-Fi networks a target for criminals who want easy access to user data," said Denis Legezo, Senior Security Researcher at Kaspersky Lab. "Our research shows, once again, that cybersecurity involves addressing not just certain aspects, but the entire infrastructure. FIFA World Cup 2018 has confirmed that the event itself is secure - but users should be aware that clearly its host cities’ public Wi-Fi hotspots are often not." We're all ready for the World Cup - are you? Check out our World Cup 2018 hub here!